Founded by Australian acupuncturist and facialist Annee de Mamiel, UK-based brand de Mamiel uses the purest natural ingredients to create cutting-edge skincare formulas. The latest Beauty Heroes discovery features two products form their Atmospheriques line: a full size of the Intense Nurture Antioxidant Elixir and a deluxe sample of the Exhale Daily Hydrating Nectar. The products are worth a whopping $147 (USD), but they can be yours for under $39! 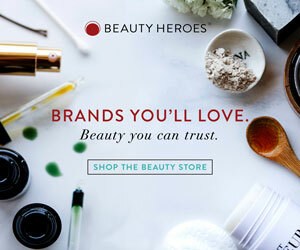 Only a limited number of boxes are available, so sign up to Beauty Heroes now before it sells out! Every so often one encounters a brand that’s truly a cut above the rest. I’d heard only good things about U.S. based brand La Bella Figura (‘a beautiful figure’ in Italian), so my expectations were sky high. Victoria, the brand co-founder, handpicked the products below for my acne/pigmentation-prone skin. After using them for around two months, I’m truly impressed. La Bella Figura has become one of my favourite new-to-me brands. The products are meticulously formulated with a minimalist feel to them. Each ingredient is carefully chosen to serve a precise purpose and the products deliver. Without further ado, let’s discover the products!